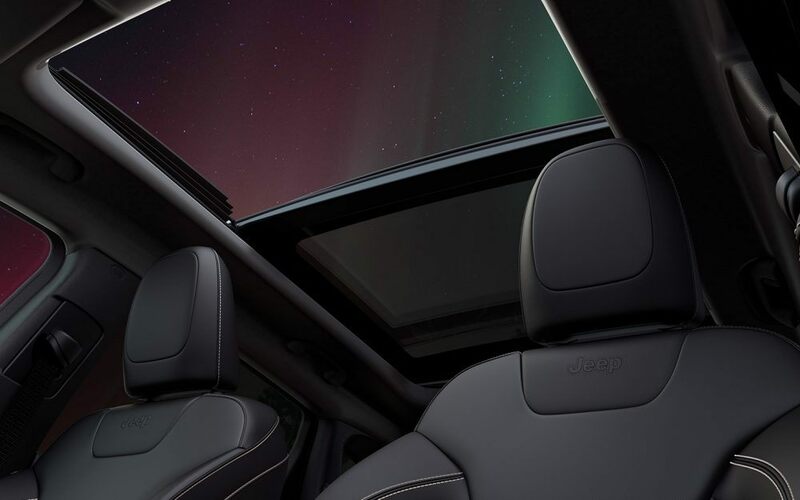 It’s exquisitely crafted for new adventures in style: The 2019 Jeep Cherokee, a masterpiece of an SUV that will take you everywhere you need to go, both on-road or off. This one comes in many dazzling trim levels, so depending on your needs – whether a powerful commute or a day exploring trails – you can select the trim that’s just perfect for you and your family. Trim levels include Latitude, Latitude Plus, Altitude, Trailhawk, Limited, High Latitude, and Overland. It’s a full lineup of elegant but rugged SUV vehicles that will make your 2019 one of the most exciting years of your life. Taking this one home is really an event at Pollard Jeep in Boulder. Today we’ll be looking at the base model as well as highlights of other 2019 Jeep Cherokee trim levels that will appeal to drivers who want a little more than the average. Our dealership prides itself on serving Boulder Denver Longmont Thorton drivers with the most up-to-date information on the Cherokee brand. Let’s get started. 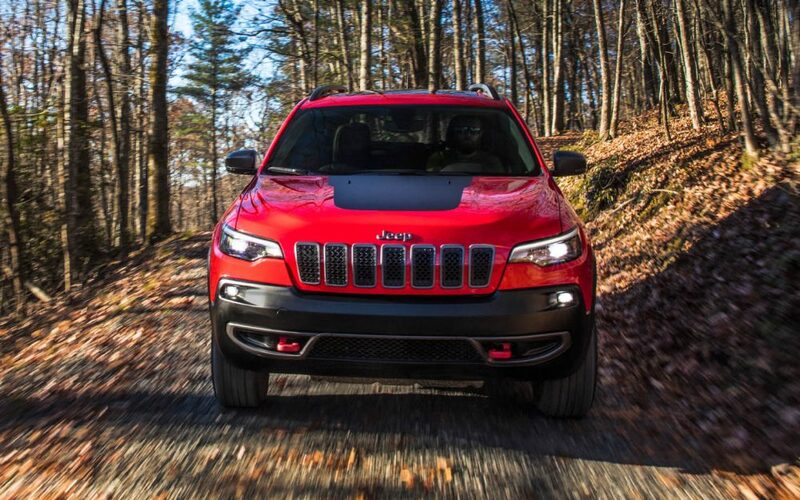 This one is designed with front and rear design philosophy and a bold new look for the modern Cherokee driver. 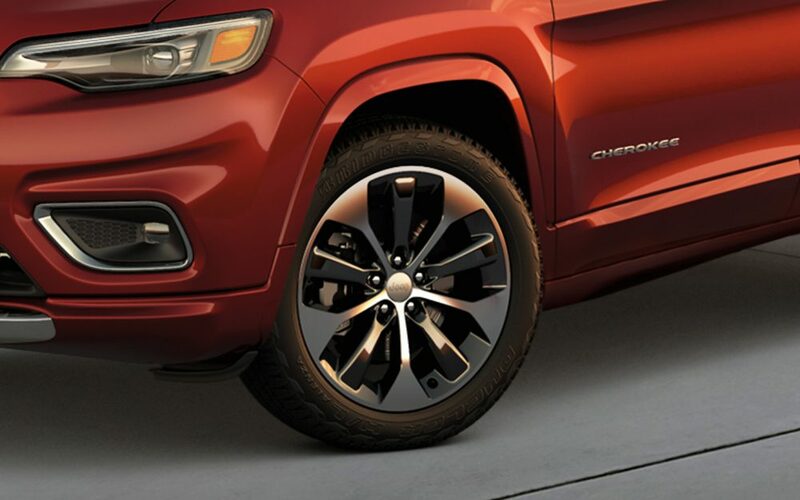 Premium LED headlamps and 17-inch styled wheel design just in the base model alone make for a handsome and aggressive styling that doesn’t go too far over the top. Exterior colors give you more than a half dozen to choose from. Take your pick from Bright White clear coat, Diamond Black Crystal Pearl-Coat, Billet Silver Metallic Clear Coat, and Light Brownstone Pearl-Coat (and that’s just to get things started). Few would argue that the 2019 Cherokee isn’t serving Boulder Denver Longmont Thornton drivers with one of the handsomest vehicles of the 2019 season. This one is just beautiful! Other 2019 Jeep Cherokee trim levels will offer even more color options and advanced exterior perks. Pollard Jeep in Boulder customers demand an interior that’s more than just your run of the mill fare. The base model starts you off with a technologically impressive Uconnect® 4 infotainment system, paire with a 7-inch touchscreen that has vibrant colors. 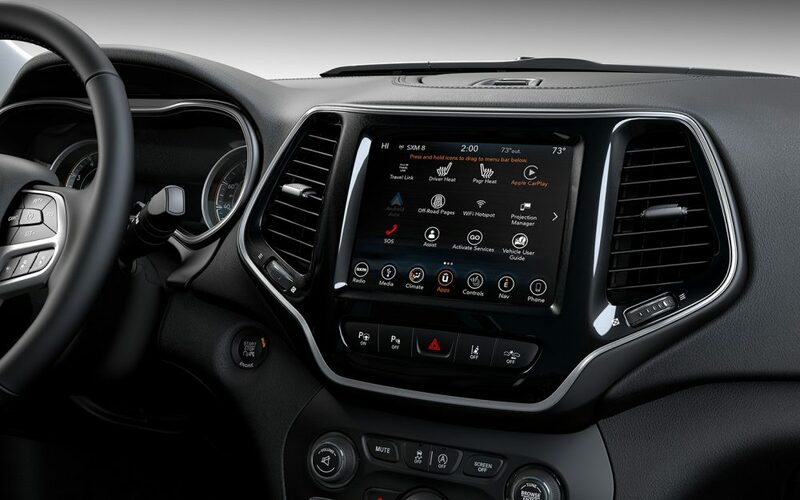 Use Apple CarPlay to connect your world to your new Cherokee. Premium interior materials and vibrant colors come to life, but you also get greatly increased cargo space in the 2019 Cherokee. This one is serving Boulder Denver Longmont Thornton drivers with optional awesomeness, as well, such as the optional leather-wrapped steering wheel with robust audio controls that put your music right at your fingertips. Jeep has gone to great lengths in recent years to make sure that their vehicles are up to modern safety standards. The new Cherokee is going to really impress you in terms of safety. They start off with a high-strength steel cage around the vehicle to ensure that you’re always going to have your best chance in the event of a crash. This time, though, Jeep through in preventative safety measures like blind spot monitoring, Full-speed forward collision warning, and rear cross path detection, in addition to an excellent airbag system, to make sure that you will avoid crashes just like other modern vehicles. It’s a lot of safety tech that we’re glad to see will be serving Boulder Denver Longmont Thornton drivers well. This is one SUV you’re going to want to get your hands on as soon as possible. We venture to say that you won’t want to give it back to us after you take your first test drive. If you’re interested in the 2019 Cherokee, please call our dealership today to schedule your test drive!